It’s understandable that broadcasters and production companies are still working out what the new digital file delivery changes, being introduced by the Digital Production Partnership (DPP), will mean in practice. Some of the changes, such as storage, will be quite major. But the solutions are quite straightforward given the right preparation and support. And it will be worth getting there. The move to file delivery can feel like a backwards step because ironically it means working in a very linear way. An entire television programme has to be completed on an editing system timeline before exporting it out to file in one process. What we lose are the ‘non-linear’ aspects that came with handling tape, such as being able to accommodate late editorial changes by dropping in a section, assemble chunks together and lay back audio to the programme. The new AS-11 file-based delivery standard, introduced by the DPP, was conceived to help standardise the delivery of digital video content to broadcasters. Bottom line, from October 2014 it means every company delivering content to a UK broadcaster will need to comply with the new standard. One concern for broadcasters and production companies is what to do about late editorial changes that need to be made after the programme has been delivered as a digital file to the broadcaster. It arguably takes more work to fix a file than a tape as it requires going back to the edit timeline and starting the rendering process again, then repeating part of the quality control (QC) process. However, if you offset this against the time and expense of getting a physical tape back from the broadcasters and then re-delivered, amending the file is a relatively low cost. We hear that systems are in development that will eventually allow editors to insert a section into a prepared DPP file. This will radically boost the efficiencies of making those last minute editorial amends. The QC process is a widely debated topic. Some people feel there’s more responsibility being pushed back onto production companies. But in reality there is no change as productions have always been responsible for ensuring the technical quality of their programmes. In fact, being able to do the QC at the post production facility should considerably simplify the process. The editor or QC operator can raise any queries directly with the production team, agree any sign-off and note any faults in the comments before exporting the file. Most importantly, with the two parts of the chain, production and post, agreeing on it together they’ll both know that last minute issues won’t come back to haunt them. Although delivering digital files to the broadcaster is one obvious new challenge, there’s another crucial issue that production companies face after delivery – what to do with the files after they’ve aired? Many productions that have created and delivered file-based assets have them sitting on a portable drive in the office and have created a tape copy as a backup. Neither of these approaches is sustainable in the long term – portable drives are simply not reliable enough to safeguard such a valuable asset, and tape libraries will become increasingly impractical as tape decks gradually fall out of use. The answer is to set up a digital library with rigorous asset management and backup so the assets can be securely stored. This requires storing the actual files on spinning disks or on LTO tape, so they remain safe and accessible long into the future. With the price of digital storage rapidly decreasing, safely storing digital assets is now a moderately low cost. Production companies can rent space in established digital libraries such as the one we have set up, and gain all the advantages of safety and accessibility for a minimal fee. Indeed, our DPP offer includes storage as well as preparing programmes for DPP delivery. 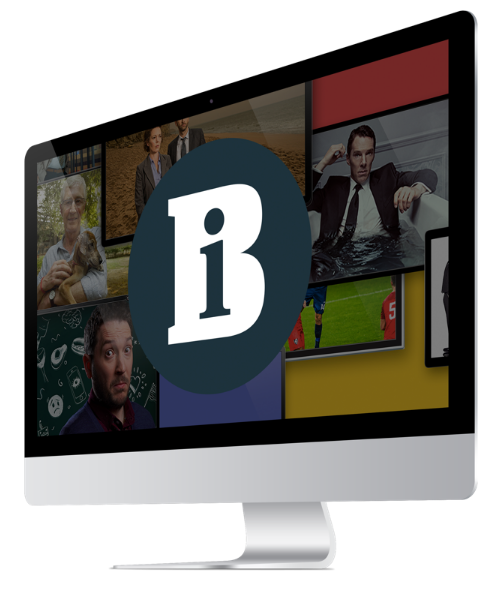 This enables content owners to view assets online, call up material for further broadcast sales or clip sales, or simply view copies – vastly simplifying and streamlining the whole process. Much has been debated over the last 12 months around the ability of production companies to prepare for the move to file-based delivery. From all the information that’s flowed around the industry a few things have stood out for me. Firstly, for the QC process to work smoothly, production and post production houses need to collaborate closely to get the task done. Secondly, smaller production companies and post facilities need to realise that they’re not alone. There are several specialists out there who can take the hassle out of file-based delivery, and help navigate and demystify the DPP waters.